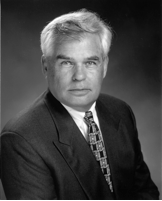 Christopher Rojahn, a registered Civil Engineer in California, served as Executive Director of the Applied Technology Council (ATC) from 1981 to 2015 and is currently serving ATC as Director Emeritus. Since joining ATC, he has served as Principal Investigator on more than 50 major projects involving earthquake and natural hazard mitigation issues, including development of: earthquake risk mitigation strategies for urban areas; earthquake damage and loss evaluation data and methodology; methods for the seismic vulnerability assessment of buildings, bridges and other lifeline structures; methods for rapid and detailed seismic capacity evaluation of buildings; guidelines for the seismic rehabilitation of buildings; and procedures for post-earthquake safety evaluation of buildings. He has also led numerous workshops on various technical issues related to the seismic design and performance of buildings, bridges, and other structures. Prior to joining ATC, Mr. Rojahn served as a Research Civil Engineer for the Seismic Engineering Branch of the U.S. Geological Survey (USGS). His work there focused primarily on the acquisition and analysis of earthquake strong-motion data from instrumented structures as well as the development of methods for instrumenting buildings and bridges. While at the USGS he also participated in post-earthquake investigations in California, Hawaii, Argentina, Nicaragua, Romania, and the Soviet Union. Mr. Rojahn has testified before the U. S. Congress and has advised the White House Office of Science Technology Policy on issues relating to earthquake hazard mitigation. He has served on a variety of advisory panels for the National Science Foundation (NSF)-funded earthquake engineering research centers and is currently a member of the Board of Directors of NEES Inc., the organization that manages and operates the NSF-funded Network for Earthquake Engineering Simulation. He is also a member of a variety of professional associations, including the Earthquake Engineering Research Institute, the New Zealand National Society for Earthquake Engineering, and the Structural Engineers Association of Northern California. Honorary Member of the Structural Engineers Association of Northern California, June 2009. The Western States Seismic Policy Council Lifetime Achievement Award in Earthquake Risk Reduction, April 2006. Recognized as Structural Engineer of the Year by the Journal on The Structural Design of Tall and Special Buildings, September 2005. Honor Member, Chi Epsilon, Bucknell University, March 2004. Award for Leadership, Innovation, and Outstanding Accomplishments in Earthquake Risk Reduction, presented by the Earthquake. Engineering Research Institute, Northern California Chapter, April 2003. William Penn Senior High School Hall of Fame (1997), along with Keys to the City of York, Pennsylvania.